The perfect mid level pants! The Vapor X900 is based off of the Reactor design, but has newer features and improvements. 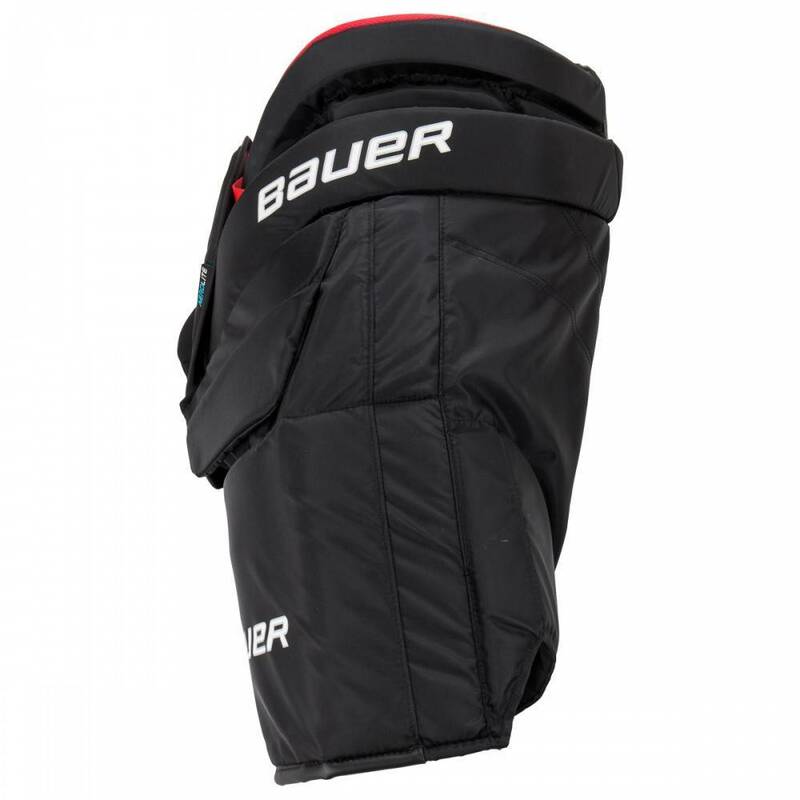 The pants are a true one piece design which provides all around coverage, while still providing ultimate mobility. 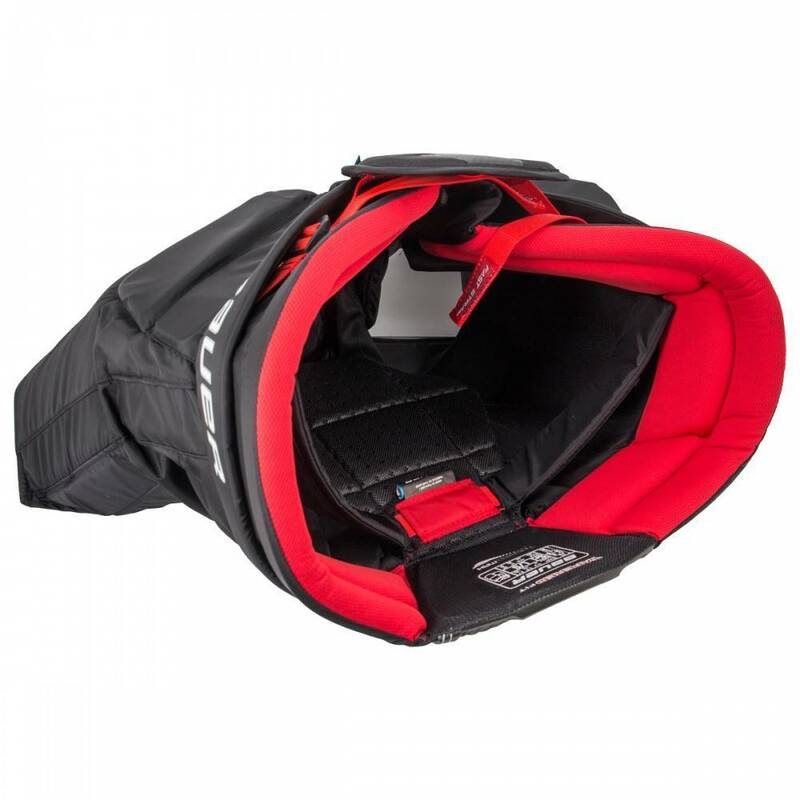 The lower stomach protection is filled with Curv composite to increase protection across the abdomen and still give the goalie full range of motion. 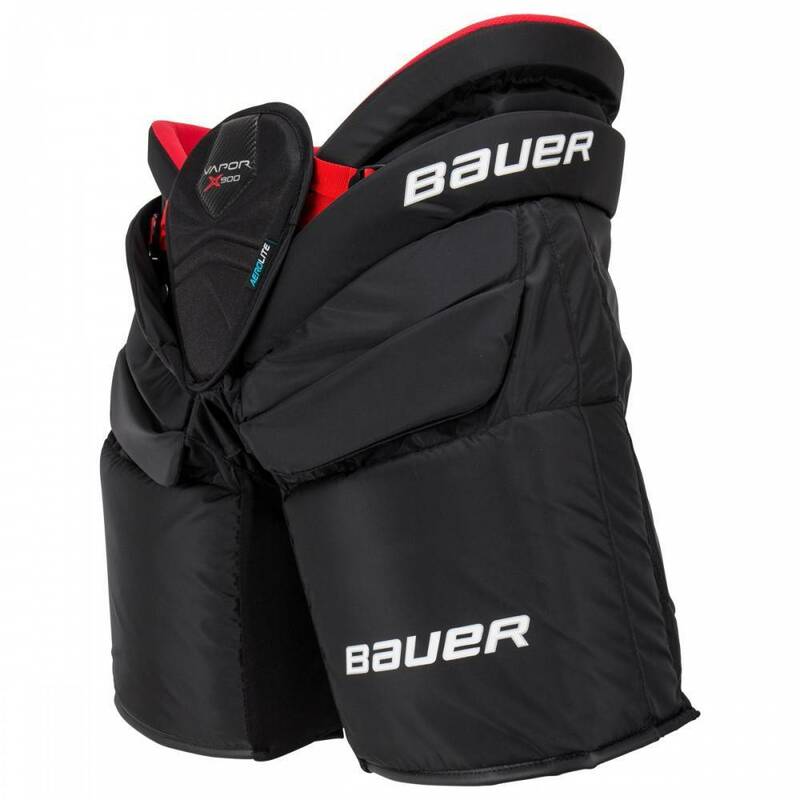 Behind the stomach pad, you will see Bauer’s unique belt system where the belt starts internally near the back and wraps out of the front of the pant to provide complete control when the belt is tightened. 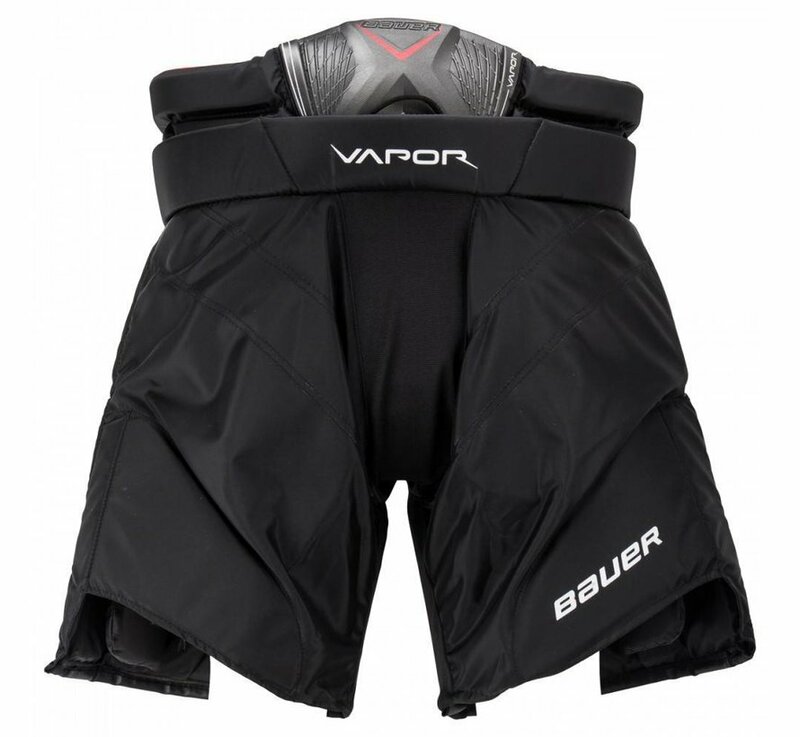 Lining the pants with the Transfer Mesh liner enhances 37.5 Technology inside of the pant, giving the goalie better drying capabilities within the pants and even reducing the temperature. 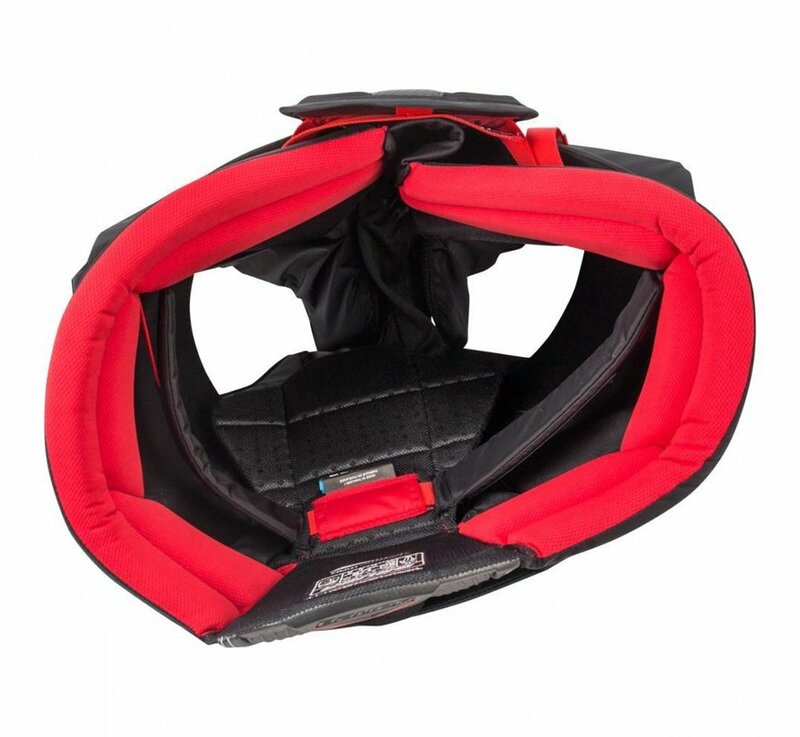 The top hip section features adjustments at the front suspender rivets and the back of the tailbone which can be adjustable higher or lower. 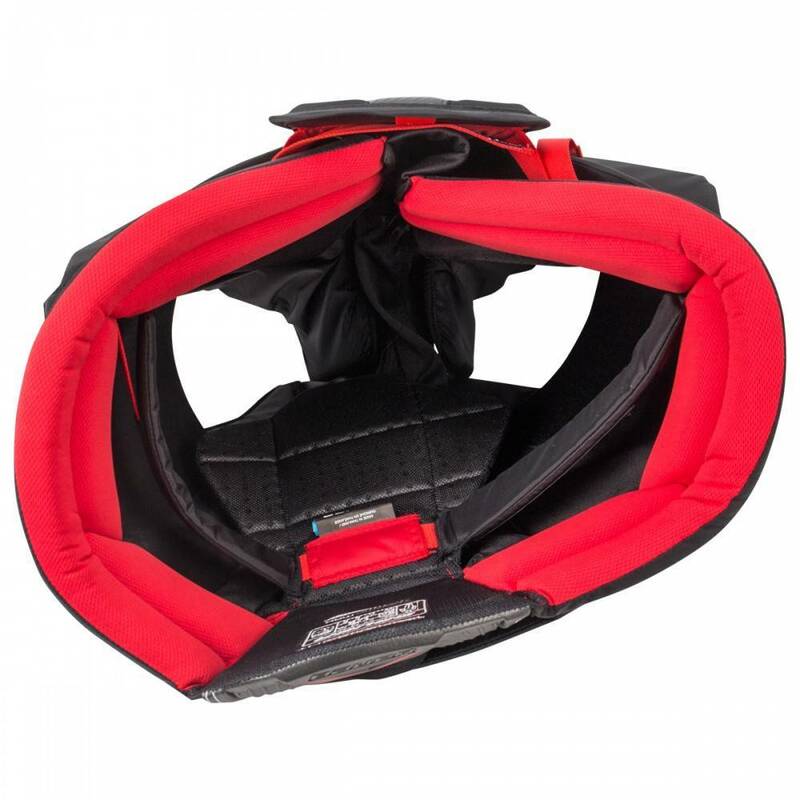 Also, on the back of the hips the top portion can be velcroed higher or lower. 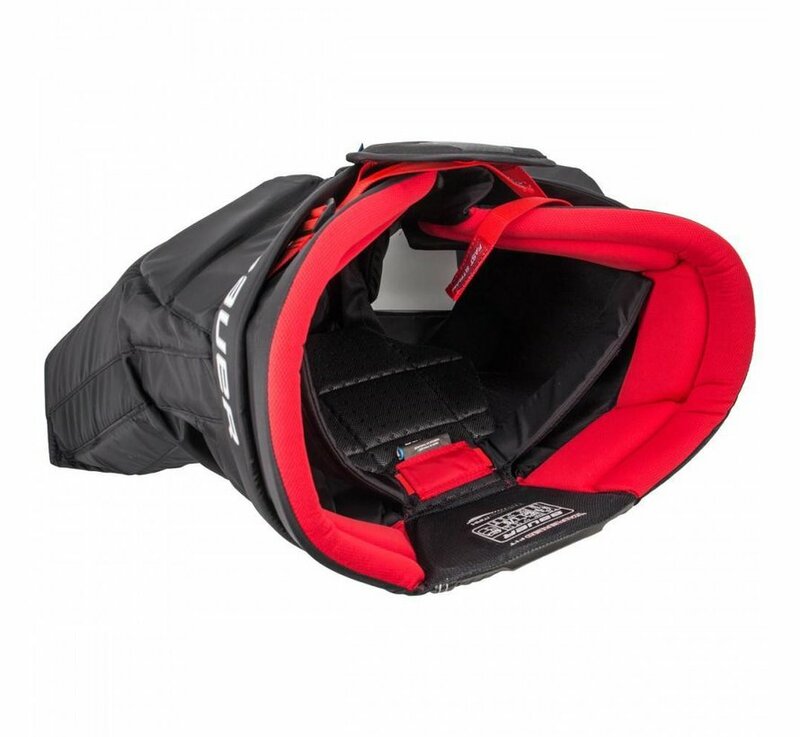 Altogether, this is named the Extension fit which allows the goalie to adjust the cant or angle of their pants along with the height of the hip protection if they like to tuck or untuck the chest. 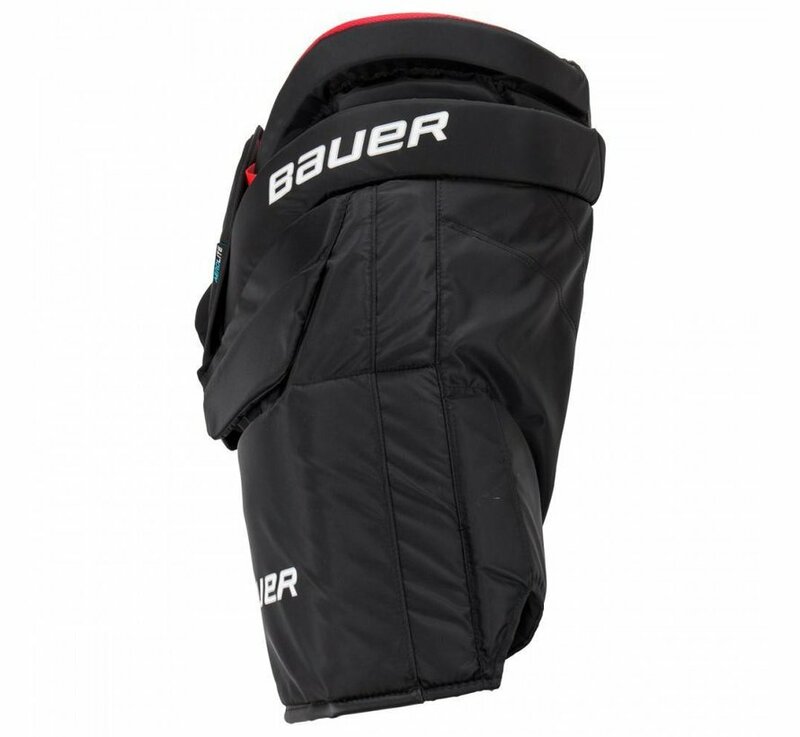 Lastly, the 1X pant features more protection in the hips and thigh to give the goalie the confidence they need. 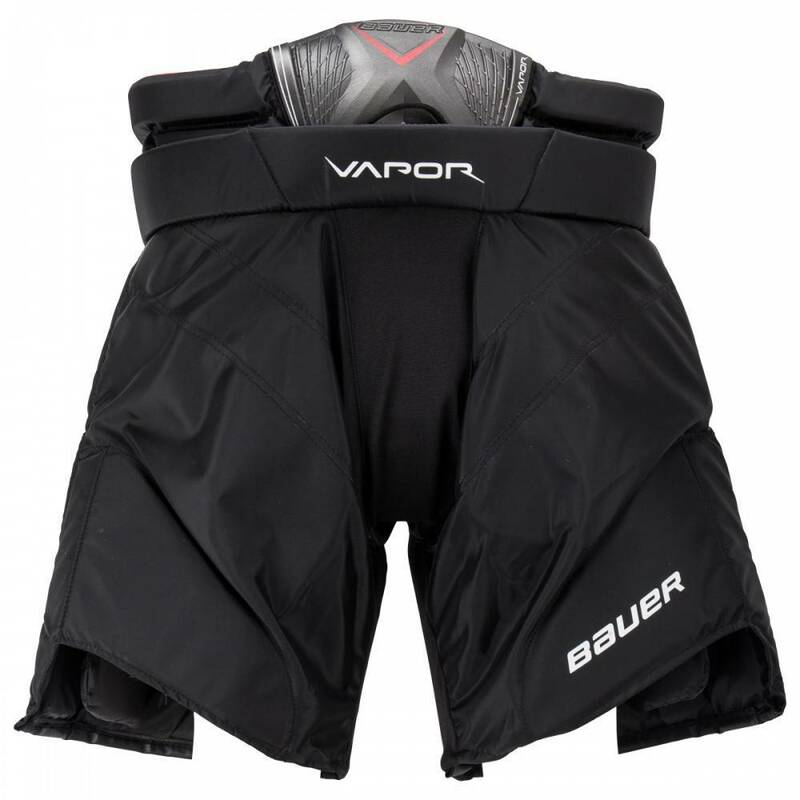 The thighs are a squared but NHL legal design lined with Curv Composite which creates a stiff and rigid pant. The floating hip protection segments nicely over the thigh of the pant when the goalie bends and moves around. 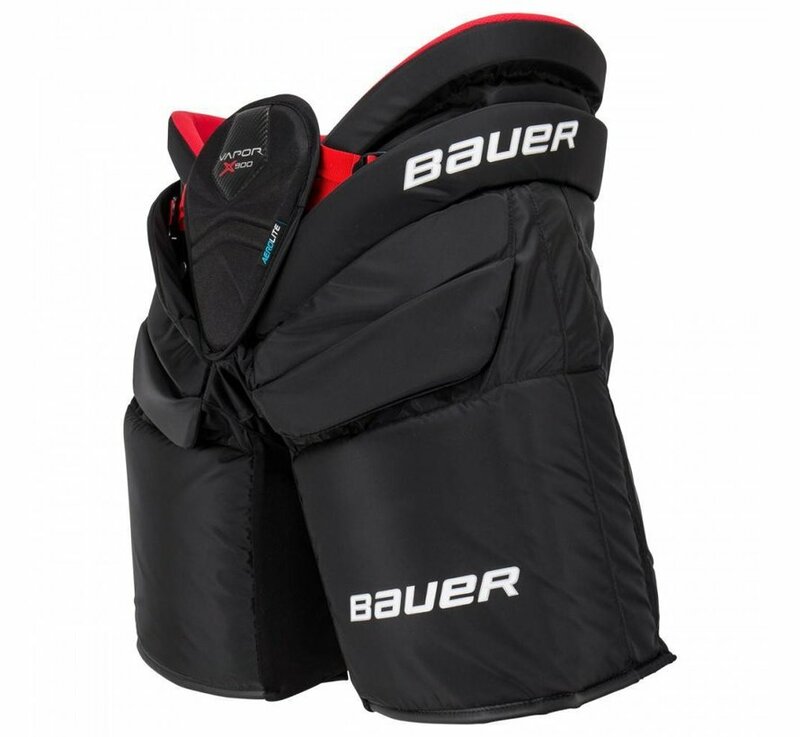 If you are an elite-level goalie who is looking for some of the best innovations on the market but who wants a mobile pant with the ability to tuck or untuck the chest, the Bauer Vapor X900 Senior Goalie Pant will not disappoint you!